Death rate refers to the decrease in the size of the population. A declining death rate due to the modern scientific heath services and a constant birth rate have been the major causes of rapid population growth in Nepal. Crude Death Rate is a simple measure of mortality. It gives the number of deaths occurring in a given population during a specified year per 1000 of the population at mid-year. 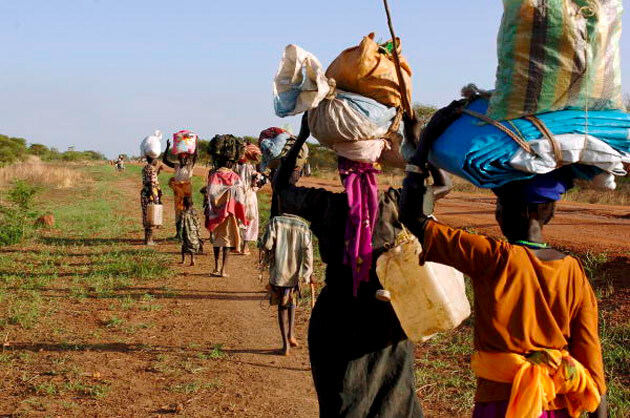 Migration is another process of demography and deals with the change in the size and composition of the population by migrating from one place to another. There are two types of migration. They are national and international migration. In both of these migrations, there are two ways of the flow of population inflow and outflow. People who flow-in from another place or country are called immigrants and those who flow out from their native place or country are emigrants. In-Migration rate deals with the people coming into a place or a country. Out-Migration rate deals with the people leaving the place of origin within or outside the country. Death rate refers to the decrease in the size of population. Crude Death Rate is a simple measure of mortality. Infants are considered as the age group of 0-1 year old. IMR measures the mortality rate prior to the age below one. Migration is another process of demography and deals with the change in the size and composition of the population by migrating from one place to another. The population of a village was 60,555 in 1990. Calculate CBR and CDR if the number of born babies was 3065 and death was 1609 in that village in the same year. The population of the certain district of Nepal was 150,000in 2058 BS. Within that year 1000 people died, 1200 people out-migrated and 2000 people immigrated. Now found the CDR and GMR. Crude death rate (CDR) =? Therefore, the Crude Death Rate (CDR) and Gross Migration Rate (GMR) of that district are 6.66 people and 21.33 people per 1000 mid-year population. In 2050 B.S., 1100 children of 0-4 age group died in Bhaktapur district. If the population towards the middle of the year was 22000, calculate the age-specific mortality rate for the district in the given year. Therefore, the age specifies mortality rate(0-4) of the district was 50 per thousand mid-year population of the same age group. What is Crude Death Rate? Write its formula? Crude Death Rate is defined as the number of death in per thousand mid-year population of a particular place in a given year. It is very simple and common measure of mortality. D= the total number f deaths in a given year. How is Age-Specific Death Rate (ASDR) calculated? Write its formula. Age-Specific Death is defined as the number of death of a person is a given age group in per 1000 mid-year population of that age group. How is Infant mortality Rate (IMR) calculated? Write its formula? Infant Mortality Rate (IMR) is obtained by dividing the number of infant deaths under one year into total number of live births in a given formula. Do = Total no. of the deaths of infant below one year of age in a given year. Po = Total no. of live birth is the same year. Differentiate between Crude Birth Rate and Crude Death Rate? Crude Birth Rate is defined as the total number of live birth in a year in per thousand population of a particular place. Crude Death Rate is defined as the number of deaths in per thousand mid-year population of a particular place in a given year. It is very simple and common measure of fertility. It is very simple and common measure of mortality. P= mid-year population of the year. The decrease in the size of population is called ______. What is the full form of IMR? The age group of 0-1 year old. IMR measures the mortality rate prior to the age below one are called ______. How many types of migration are there? The migration rate that deals with the people coming in to a place or a country is called ______. Any Questions on 'Measures of Mortality and Migration '?